The Roubaix and Ruby (optimized for women) have Upgraded to Future Shock front shock absorbers — NO MORE ZERTZ! 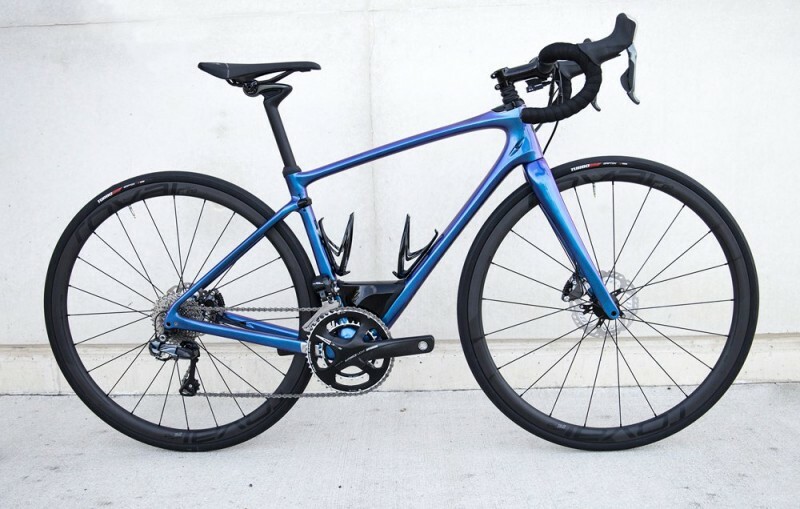 This model was originally aimed to offer all of the benefits of a racing cycle with the low weight, stiffness, and pedaling efficiency that modern carbon fiber bikes offer. 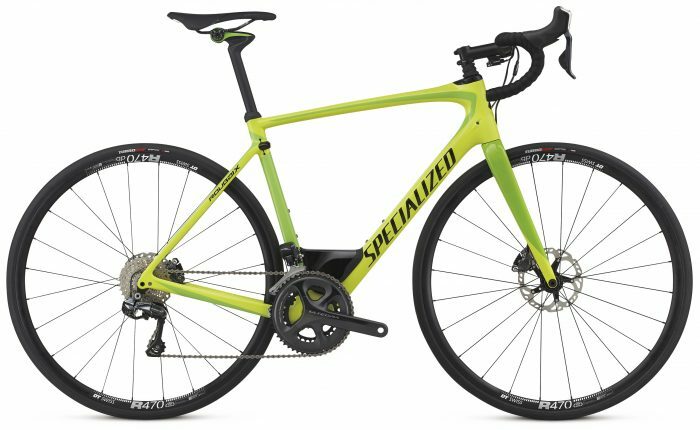 The difference offered in the Roubaix is that this 2017 bike by Specialized has an endurance-based geometry. 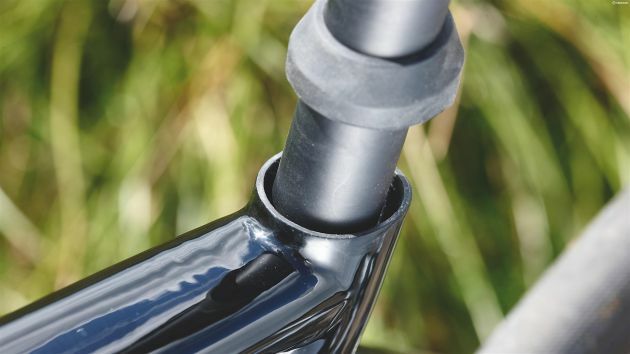 Using Specialized’s Cobra head tube design, where extending fibers from the top- and down-tube wrap around it completely, greatly increases front-end stiffness for greater control. 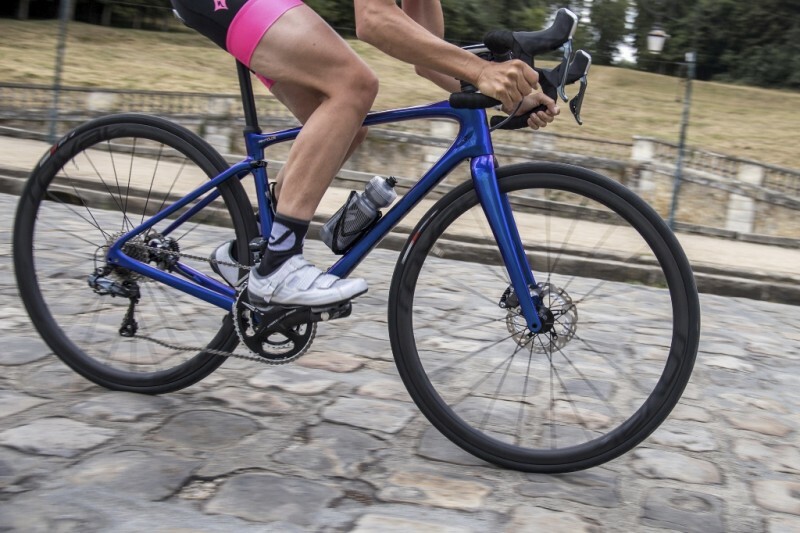 With an extremely light frame, this Roubaix is sleeker than previous models, which is due in part to the lack of Zertz inserts and suspension systems at the fork and seat. In fact, the new Roubaix S-Works frame weighs 900g and a non-S-Works Roubaix frame weighs around 1,050g. This makes the Roubai the lightest road bike frame that Specialized offers. This is excellent for an endurance bike that can take on a number of terrains. 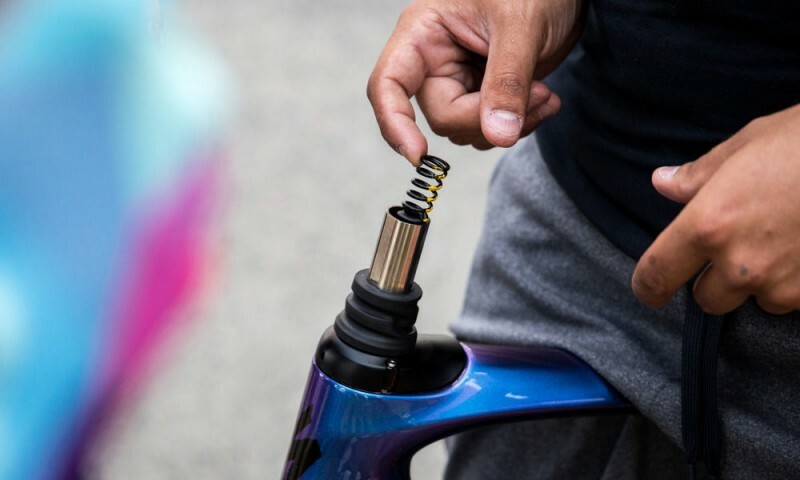 Lowering the bottom bracket has become an American phenomenon that bike brands have increasingly adopted across the globe. Initially intended to provide variation in the tire width for cyclocross riding, lowering the BB means that not only can your road bike accept wider tires for comfort, shock absorption, rubber-on-road control, and handling a number of terrains, but lowering the BB also gives the rider a lower center of gravity and greater overall control, especially around corners. 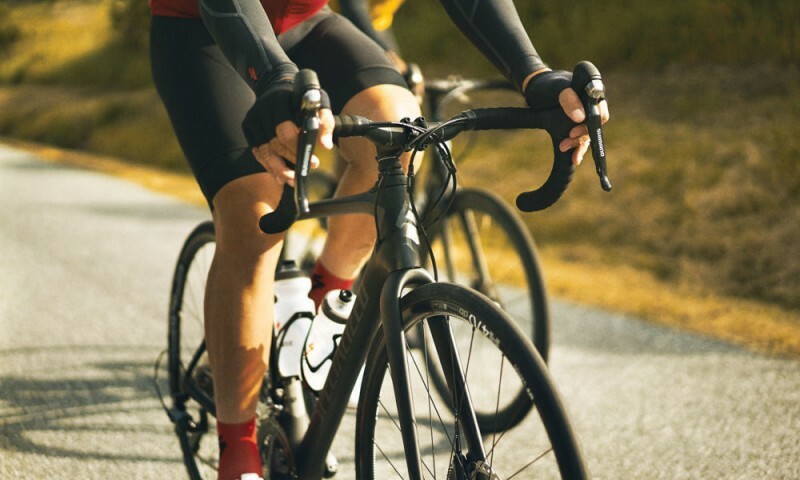 The new Roubaix features a front end suspension called Future Shock that allows for an incredible 20mm of movement at the front or rear of the bike (this is called “travel”). This allows for great shock absorption that is rarely seen on road bikes. So, if you hit a rough patch or a bump in the road, no problem — rather than Zertz, the long-used elastomer shock absorber, this bike features a great, new suspension. Future Shock is present on all models from the Elite models up to the Roubaix. The way Future Shock works is through a cartridge that sits inside of the steerer tube with a spring that will respond to impact and vibrations. 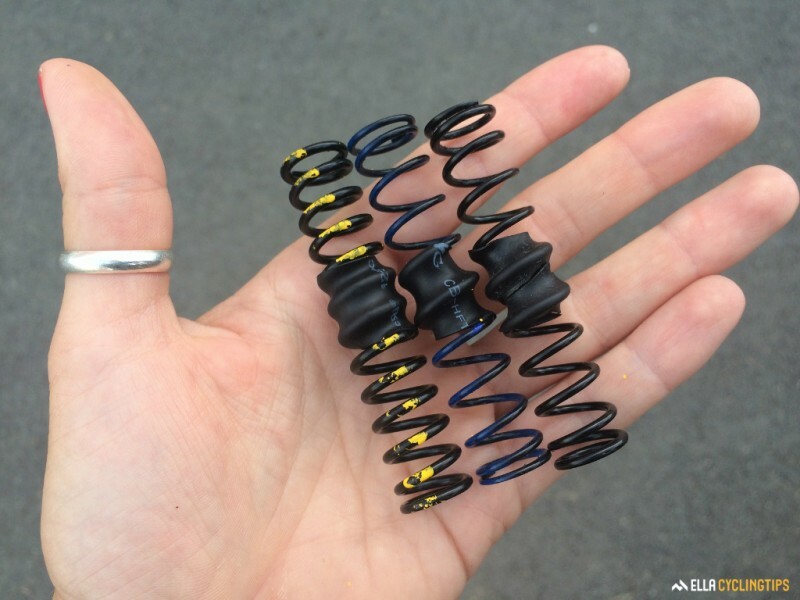 You can even customize the tension in the spring to soft, medium, or firm settings in order to best suit your preferences or the terrain you are biking in. When you purchase the bike, you’ll receive three interchangeable Future Shock springs so that you can choose between these three settings and swap as needed. One of the extra benefits of this front suspension system is the improved traction. With the vertical compliance improved in this model, the can keep the rubber on the road rather than being displaced by small bumps. 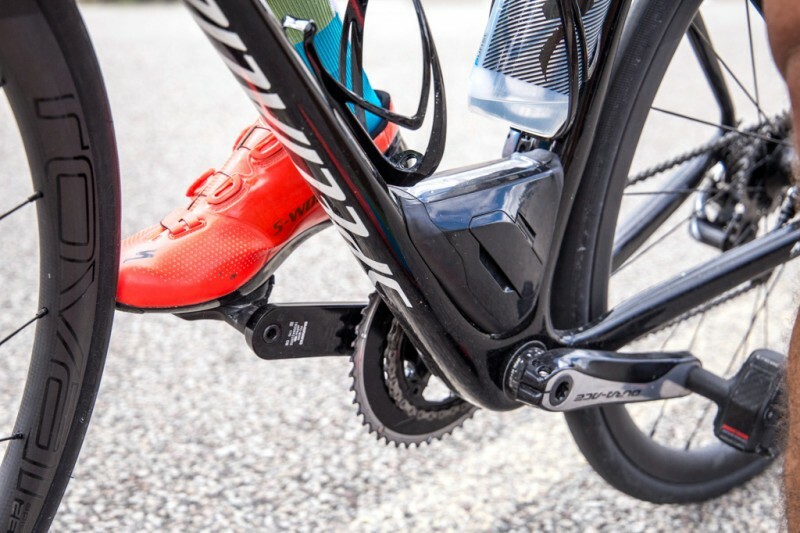 Specialized has made front suspension a priority in the Roubaix 2017 model, but what further aids the comfort of the rider are the two pieces of tech at the rear. While these two technologies are not suspension-based, they allow two points of flexion in order to improve comfort. Carrying over the CG-R (CobbleGobbler) seatpost has a unique design that absorbs impacts. The new Drop Clamp is moved to the contact point between the seat and the seat tube, which is 65mm lower. 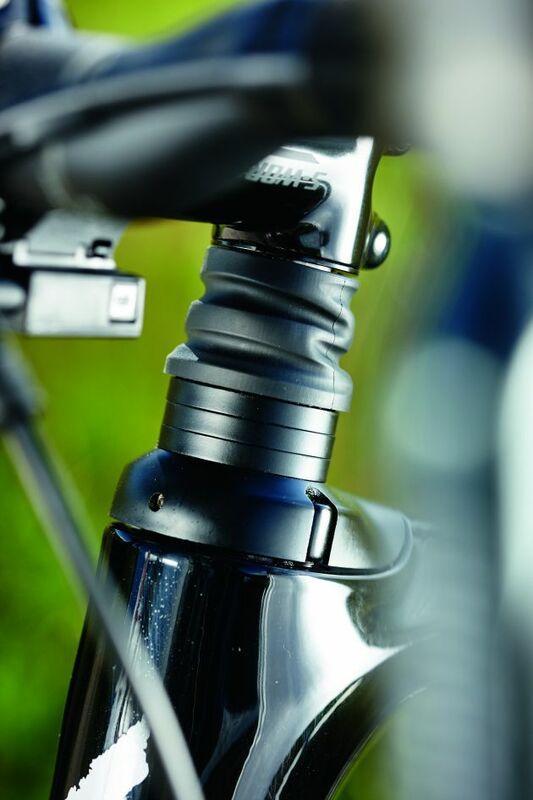 What this does is allow the seatpost to flex in a long arc rather than if it was clamped at a higher point. The new stack for a 56cm frame, for example, is now 7mm greater than on the SL4 model, while the reach is 2mm less. The performance-focus of the 2017 Roubaix line accounts for this, as the design stage has focused on geometry in order to get more performance out of the bike while making room for the new suspension system. The wheelbase has been decreased in the new Roubaix models, at 993mm from the 1,011mm of the SL4. This, along with a 1 degree steeper headtube angle, a 40mm shorter headtube length, and a 45mm lower BB, are all intended to sharpen handling. 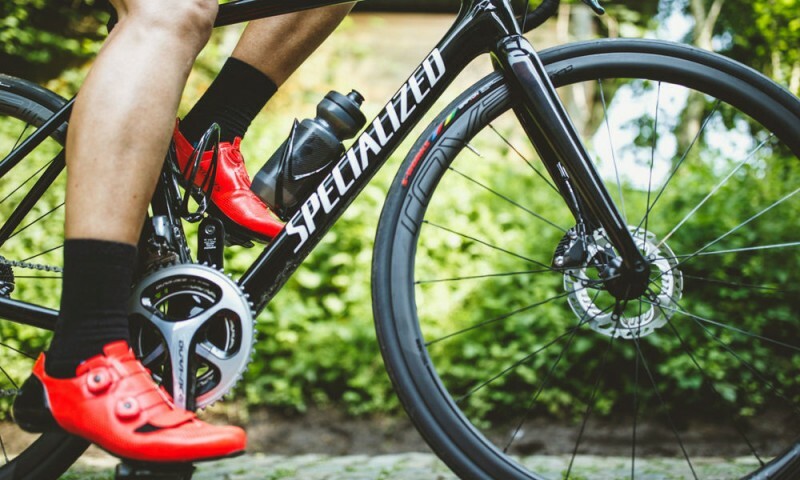 Disc brakes have become more and more popular, and the Roubaix by Specialized has joined the disc brake movement, with all of their 2017 models only featuring disc brakes, besides the chapter SL4 model). Also included in all of the 2017 line is a full carbon frame with full carbon fork and rear mounts, which are a huge step in the modern road bike evolution. The Roubaix will not offer rim brakes, which is great for manipulating the fork and the rear triangle, allowing larger tires to fit onto this bike. Tires up to 32mm wide will be accepted onto the frame and is great for those choosing a rougher road. This will significantly smooth out road vibration along with the front suspension technology. Specialized was able to change the design of the frame due to using Future Shock, the CG-R seatpost, and drop clamp. 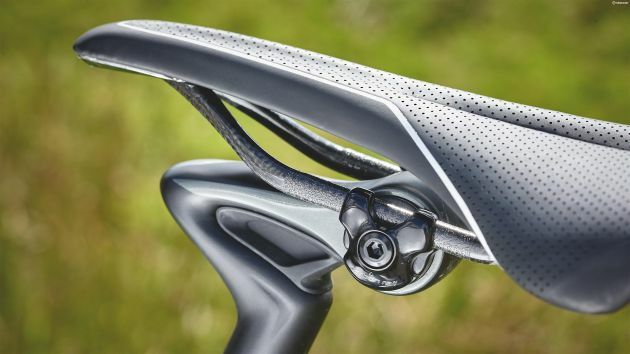 One of their priorities was to make a much smoother ride, and with the mix of the new component parts and the lightest frame Specialized has ever made, they have succeeded. All of the 2017 model Roubaix’s feature a lightweight, full carbon frame, which range in weight from 900g to 1,050g depending on if the bike features the S-Works or not. 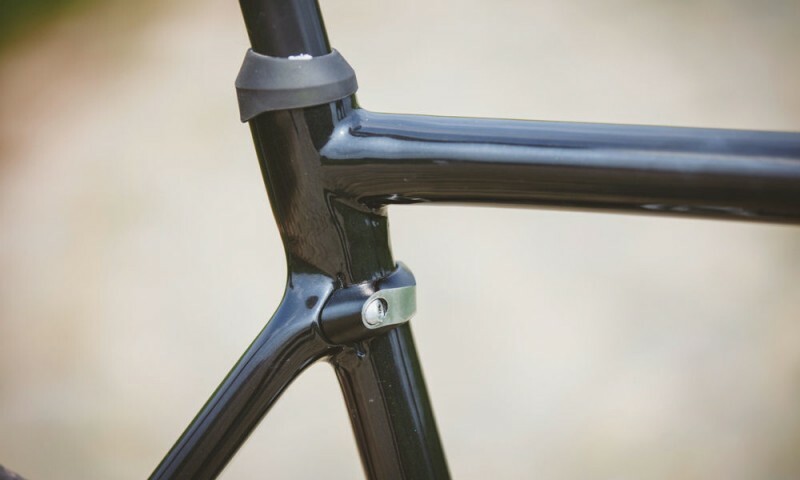 The fork and frame are both much sleeker than previous Roubaix models, mainly due to the use of Future Shock component parts as opposed to Zertz inserts and suspension systems. This sheds a lot of weight at the fork and the seat and allows the full carbon bike to be much lighter overall. The new Roubaix feature a unique “Aerofly” handlebar system that uses a negative 17 degree stem, which optimizes the bike’s aero profile. To provide some relief from the aggressive position, the bike has a positive 25mm rise on the handlebars. Like the Venge Vias, Specialized’s handlebars on the new Roubaix model has the same 15mm rise, 125mm drop, and 75mm reach. Similar to the Diamondback Andean, this bike has decided against bulky storage systems in favor of building in a small storage system, or a SWAT Box. This is filled with the tools you may need during your ride, so you are never stuck on a trail or hidden roadways without the tools you need. This SWAT Box is attached to the downtube via braze-on — note that this feature is only available on the S-Works and Pro models. Aerodynamic SWAT Box Storage: On S-Works and Pro models only. Control and handling are among the very best on the road bike market. Comfort is also excellent and without compromise. Specialized uses their development of what they call the “Rider-First Engineered” approach, which rather than shrinking or enlarging the frame sizes and not accounting for geometry or triangle size as has been done in the past, this new approach takes into account each individual frame in order to assess the ride characteristics. What this means is that a rider on a 58cm frameset will get the same ride experience as a rider on a 50cm frameset, which we know is not always the case with so many bikes. When the size of frames shrink down, they get stiffer due to smaller tubes and triangles; when frames get bigger, they become more flexible — these differences change how the bike was intended to ride — and the Rider-First Engineered” approach is intended to combat these differences. The Ruby, a women’s specific model, was designed with the same technology and advancements as the Roubaix, but with tailored aspects to key points — even the frame design. 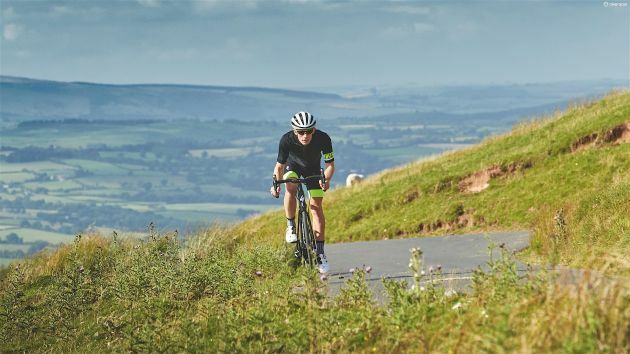 All components and frame points have been adapted to better suit female riders and improve road feel and quality without giving up the technology that the Roubaix has. 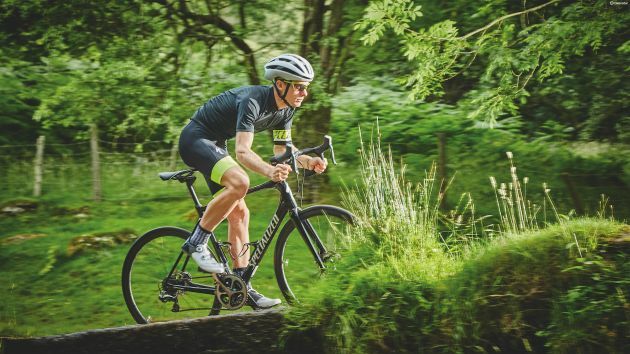 The only con is actually positive — this Specialized Roubaix may make your other bikes redundant.